June 12, 2013 in church growth, Community, Congregational Transformation, Christianity, Leadership, ministry, Missional, spirituality, what next? All four of these sayings I have heard uttered by more than one progressive, liberal, open and affirming, postmodern pastor or church leader. All four of these sayings, sadly, make assumptions that actually keep people from wanting to go to church, which I am sure is not their intent. When we look at the Bible, we do find many examples of community: the early house churches, the Disciples, the communities of the Hebrews after the exile, Israel and Judah, the twelve Tribes, the band of wanderers in the desert—even going back to Jacob’s family, or Abraham and Sarah and their entourage—there was a community. However, the statement implies usually that those outside of the church seeking spirituality are not in a community. All too often, we assume someone is not part of an existing community. And I’m not talking a church or Bible study. I meet people all the time who are in community, even spiritual community, without necessarily setting foot into a church or existing church community: book groups, 12-step programs, coffee shop gatherings, the local diner where the locals gather, the Farmer’s markets, the picket lines—there are plenty of places where community happens that has spiritual components. I’ve been part of many communities outside of church where prayer, questioning, meditating, social action, concern and care take place. We need to strip away the assumptions that those outside of the church are not in community already. What that sounds like to someone who doesn’t use covenantal language on a daily basis (and trust me, fewer in the church actually do than we think they do, but I digress…) is that there is some sort of contract, some sort of membership clause that makes everything official, and if you don’t sign on the dotted line, it’s not official. I’ve had pastors argue this with me all the time. We need to unpack what it means to be in a covenantal relationship. When God makes a covenant with the people of Israel in the wilderness, God does not require them all to sign a contract. Rather, they make an affirmation of faith in the community, together. I’ve seen some churches do this better—a yearly affirmation of the covenant, rather than a one-time membership course and public declaration of membership. But the assumption is again that people on the outside of the church aren’t in a covenantal relationship, or that those who visit church but haven’t joined aren’t ready for that kind of commitment. They may be ready for that commitment, but don’t want to join through an outdated “you’re in the club” membership system that too many of our churches use. And there’s also the assumption that some kind of commitment needs to be made verbally or in writing. More and more often, I am meeting couples who are choosing not to get married, or choosing to wait to get married. Like it or not, this is happening more often. There is a culture shift about what that kind of covenantal relationship means. For some, it is a way of not making such a deep commitment without serious thought and time to be sure this is what they want. For others, they don’t have the same need for themselves to make a legal, binding, contractual commitment—they see their relationship commitments differently. We need to understand this cultural shift, because it also applies to whether or not people want to join a church or any other organized way of being in spiritual community. While I still uphold the tradition of covenantal relationship in the church, I also understand that others do not have the same need for making a commitment in the same way to an organization—they prefer to be in the group when their heart is in it, and to move on when it is no longer living up to what it claimed to be or fulfilling their needs. This attitude is not new—how many members are on your roles who never come to church? Just because we may claim that covenantal relationship is key for true spiritual community doesn’t mean we’ve been particularly good at it ourselves. We may need to reexamine what we mean by all of this commitment business anyway. Our saying this publically is not going to get those who feel spiritual but not religious to engage in any kind of conversation with those who claim to be religious. While you might roll your eyes at the “spiritual but not religious” claim, you’re not doing anything to invite those who feel that way into a conversation. What we might do is ask them what it means to be spiritual for them, and if there are spiritual practices they engage in. Make a few friends who are spiritual but not religious. In my time as a pastor, I have found them to be my very best friends—people who understand my faith but don’t want to be part of organized religion. They are the ones I can confide in, turn to with my own questions and wonderings. And sometimes they see that we on the religious side can be spiritual, too. And you might just find that SBNR folks do gather together in their own communities, or come together at prayer vigils, book groups, and other such gatherings. In other words, we welcome those who think and look like us. Yup. I’ve heard this from so many liberal/progressive leaders over the years who don’t seem to hear what they are saying. There is no discussion, there is no room for dialogue. And I’m not talking about only welcoming people who disagree with me, but also welcoming people who have been abused and wounded by the church. They may not be the most welcoming people. They may not ever feel comfortable setting foot inside a church. In the SBNR discussion, one thing that gets overlooked is just how many people have been hurt by the church in general. So many of my friends who claim SBNR grew up in a church where they were taught to be ashamed of who they were, where they were made to feel guilty for choices they made as a teenager, who experienced the loss of trust of a leader, who were the victim of gossip and lies in the church. I know one experience where a child’s parents were divorced in the church, and the gossip and backstabbing that happened in the life of the congregation discussing her parent’s divorce has made her adamant to never set foot in such a place again. For one, I think we have to stop speaking such assumptions. I think as church leaders, we need to become more involved in the community around us, specifically finding who and where the SBNR folks are around us. Secondly, we have to stop the public judging. Third, we need to simply stop making assumptions about why people don’t go to church, because those assumptions are what drive every single program designed to reach the “unchurched,” every single change that a congregation makes that is not something they would normally do but in hopes that it might bring in younger people who don’t go to church. Those changes and programs do nothing but burn us out even more in the long run. Fourth, we have to have vision. And that vision has to include the very real possibility that church as we know it, church the way we grew up with it, isn’t going to exist in the next generation. This is not easy. But I think the stripping away of our assumptions is the first step towards moving forward in this new world as the people of God, followers of Jesus, Christians. If church truly is a people, as the old song says, and not the building, the steeple, the resting place, the programs, the worship service, the coffee hour, the youth group, etc., then we must go and be with the people, and we must listen and learn from them. In order to do that, we must let go of our assumptions: about what people are looking for, about why they don’t come to church, and also, the main assumption that we know better than they do. Because if we did know better, we wouldn’t be in this place, would we? May 15, 2013 in Community, church growth, Congregational Transformation, Leadership, Missional, what next? Growing up in New England, I remember going to Woolworth’s counter and spinning the seats, but generally my mother would take us to a different store called Caldor. It was a regional discount department store that originally started as a 5 & Dime. It was where I am sure most of my toys and clothes were purchased. I even remember the tent that I picked out when I turned ten was from this predecessor to Wal-Mart. There were stores throughout the East, but the one in Ridgefield and Norwalk were the two I knew like the back of my hand. Caldor is no more than a fond memory, for the Ridgefield store is now a Kohl’s, and in Norwalk, a Wal-Mart. Honestly the items are not very different, especially since fashion seems to repeat itself, and retro is currently quite popular. Therefore I have been known to say to Mindi often, “Let’s go to Caldor,” referring to Kohl’s, Wal-Mart, or Freddies. Her correction has turned to a laugh, for it is generally all the same thing anyway. Caldor and Woolworth’s both came to end in the same decade, but the former was the one where I had the stronger memories. Today I compare any department stores to my Caldor. I say “my” for it is actually an idealized memory. Kohl’s and Wal-Mart are the successful competition, yet I can’t shake my boyhood memory. Living in the past can keep stuck us in the present: it is not the past because you actually cannot go back, but you cannot go forward as well. We all have our Caldors and the church is often one of our strongest. Of course, a store is not nearly as emotional as a church, but it is easy to see how hard it is to progress when we only have the conversations that start with, “I remember….” Or “What if…” Well, the reality is I now shop at Freddies (Fred Meyers) and I still have the essentials and some things I want and do not need. So upon reflecting on my Caldor memory, I realize it was not their prices or logo, but that my mom would bring me there with my sister. That when I put on a new shirt, even if it wasn’t bought at a fancy store, I knew of my mother’s love. I worry less about remembering the store or trying to figure out how they could have stayed competitive. I am fine with knowing the store was for a season, but the memory lasts a lifetime, compelling me to make similar memories with AJ, my son. Early in this millennium the church has seen a lot of attempts of change. We are not a business, which I cannot over emphasize, but I do believe we can learn from the reality of these “failed” department stores. Of course I am sharing how my memory is often trapped by our idealization of our past. This is a very real problem and we need to be aware of this when looking to implement new ways of being church, be it in worship, study, programs, or space. The other key is to remember that we can also learn from “failed” ministries. I put that word in quotes, because is it a failure to have served people but only for a specific time? I do not think so. If we are looking to create new churches and new programs to serve people that have felt the church is not relevant, we need to understand we are not to create an institution that will last for eternity. That is for the Divine, not us. I want to be clear that we should not make the Gospel relevant: the Gospel is relevant. However, the reality is there are many people that are suspicious, bored, or mad at the human institution we wrap the relevant Gospel within. So if we criticize the traditional model and believe it must change, and even die to make room for a Resurrection--we must be ready that our new emergent programs, churches, thoughts, and ways will not last forever, either. Debbie’s pleading strikes me as genuine. She’s afraid of a scary world, and she’s seeking a little reassurance. That makes sense to me. I look for that kind of reassurance myself sometimes. Things get hectic at work–I’m running late on a deadline or I sense some unease over a decision, and I search for ways to reassure myself that everything’s all right, that the world isn’t falling apart. The problem with the reassurance dance, though, is that it doesn’t work … at least in any meaningful way over the longterm. How do I know whether everything’s going to be ok for Debbie? I have no idea. Therein lies the problem. No matter how reassuring I sound, I can’t guarantee Debbie anything–about whether her landlord is going to kick her out, or whether the rain is going to start up and drench her in the afternoon, or whether she’ll be hassled out on the street. I rely on the law of averages, and say, “Everthing’s fine.” But the reality of the situation is–I don’t know. Same thing with me. I feel anxious, so I check my email. I’m feeling nervous about the unknown so I somehow maneuver to be able to be in the presence of someone who will tell me I’m a good person, and that everything’s going to be ok.
Well, that sounds pretty callous. Why is caring about people’s feelings a bad thing? Look, I’m not suggesting that seeking reassurance for oneself or offering reassurance to others is always a bad thing. Seeking affirmation in the face of uncertainty is a coping mechanism. The purpose of coping mechanisms is, of course, to help us cope. Tautology notwithstanding, sometimes we need the psychic boost that reassurance provides to make it through the day. Fine. But, what I’m talking about is the reassurance dance, which amounts to a kind of psychic feedback loop. I feel anxious, so I seek some affirmation. I feel better for a bit–not because the nature of my situation has changed, but because I’ve distracted myself for a bit–like getting drunk when you’re girlfriend breaks up with you. But, getting drunk when you’re sad doesn’t work very well, does it. Why not? Because you wake up and you realize that your girlfriend still thinks you’re an idiot–plus, now you have a headache that will last until sometime just prior to the Vernal Equinox. Now, you’re depressed and hungover. And Lord knows there’s only one thing to do when you feel that bad … get out a bottle of Tequila. Unfortunately, the church is just as prone to the reassurance dance. How often do you hear a congregation asking, "Is everything all right? Do we have anything to worry about? Everything’s ok, isn’t it? They start paying inordinate attention to the numbers–baptisms, transfers, pledging units, personnel budget, the ratio of incandescent/cfl bulbs, whatever. Notice I said “inordinate attention to numbers.” You have to pay attention to numbers. It’s stupid to act like numbers don’t count. They do. Numbers provide information, and information isn’t necessarily good or bad; it’s just information. The problem comes when you think that numbers provide all the information you need to evaluate–you name it–the effectiveness of ministry, the legitimate expression of worship, the curriculum for VBS. "Well, that’s just hyperbole. No church makes decisions based solely on numbers." Let’s be clear, I didn’t say decisions get made “solely” on numbers. Even extremely anxious congregations will tip their hats to concepts like faithfulness and integrity. But let me ask you this: When was the last time you had a board meeting and everyone forgot about the treasurer’s report because you were so involved in trying to figure out the most faithful way to provide a much needed latch-key program for kids in your neighborhood? Instead, congregations are almost always preoccupied by numbers. Numbers are a very human way for the church to seek reassurance that it’s successful, that it’t popular, that it means something. Again, I’m not saying numbers don’t matter at all. What I am saying, however, is that numbers aren’t always the best way to keep score in the church. I can’t tell you because I don’t know. And besides, you wouldn’t believe me for long, even if I said yes. Do you perform baptism and eucharist? . Do you seek to feed the hungry, clothe the naked, visit the sick, hold hands with the fearful and the grieving? . Do you open your doors and welcome those who are unwanted, those who’ve had to sit at the back of the bus, those who’ve been hurt by the church? . Do you pray and study? . Are people learning to be more like Jesus? Because, until you can feel good about the answers to questions like this, the reassurance dance just isn’t that interesting. April is Autism Awareness Month. As you may have figured out by now if you are regular readers here, JC Mitchell and I are the parents of AJ, a 4-year-old with autism. We’re not the first parents to have experienced not-so-welcoming churches, and we’re not the first clergy parents of a child with special needs to advocate for their child. There are some great resources available and I encourage you to check out resources on welcoming people of all abilities. You can also read back through JC Mitchell’s posts or mine, especially The Starbucks Welcome. --First, welcome them. Greet the family like you would anyone else. Do what you would normally do for new visitors to help them feel welcome. In one church I visited, a few members chose to sit with me in the back where I was sitting, so I was not a visitor with my child by myself. It’s a good idea for any visitor to have someone sit with them and worship with them! --If the family has a child and you have childcare or Children’s church during worship, invite them to those places but don’t pressure them. Some families prefer to have their children in worship with them, some children won’t leave their parents and go with strangers. All churches are different, and many newer churches are including of all generations. If a child goes to a different space than the worship service, ask questions about what their needs are and what can be done to help. Don’t assume you have to have professional child care workers who know about autism or other special needs (most parents haven’t had professional training, either!) Just ask basic questions about their needs, especially any dietary restrictions or allergies (just like you would for any other new child) and assure the parents their child will be safe with you. Make notes and listen if there are any specific concerns (for example, our child will wander if he is in an open area—he likes to explore). It is ok to ask a parent to help with a specific situation—such as using the bathroom if the child has toilet issues. But by all means, do your best to allow a parent to return to worship or Adult Sunday School as you would with any parent. --Have child and adult “helpers,” if you have other children in your church. Identifying a slightly older child or youth who likes to help with children can be a great asset. For example, there is one older child in my husband’s church whose job it is to keep a specific eye on AJ so he doesn’t wander off during Children’s Church. Other adults who maybe don’t want to be drafted for Sunday School might be willing to help out with a child with specific needs. --If a person with special needs remains in church, know that they will not all respond the same. Some may be sensitive to loud noises; others (like my child) may make some loud noises. Some people have to get up and move around. Some families choose to sit in the back and others choose to sit up front. As I have always shared, I often hear the sounds of adults saying “Shhh!” louder than I have heard any child’s noise. Know that there may be some distractions, but as a special needs person gets used to the worship, the routine and structure, they will be more comfortable and surprise reactions will be reduced. --Don’t assume all families of people with special needs want to immediately connect with other families of special needs—most likely, they just want to connect with this new congregation! If they ask about other families with special needs, then help make the connections, but otherwise, introduce them and get to know them like you would anyone else. --If a family looks like they have had an uncomfortable experience, ask them what you can do next time to help be more welcoming. Show that you are willing to listen and learn. See a pattern here? Most families with special needs simply want to be welcomed like everyone else. And all too often, they aren’t. There’s an assumption made by well-intentioned church members that the needs are greater than what we can care for, than what we can provide. There’s worry about situations that might come up. Most of the time, parents have thought this through before even stepping through the door. Most families are aware of what information needs to be shared to make a comfortable experience for everyone. I know that as a pastor, I don’t always have it right. There are times I still have failed to make people feel welcome, but I try to learn and work with my congregation to help make children and adults of all abilities feel more welcomed and included in worship. So this month, for Autism Awareness, let’s all try to do what we can to be a little more welcoming of people of all abilities, members of the family of God. I had a really awesome talk with a local advertising agent for our local news blog just this morning (Monday as I write this) and it has me thinking that we in the church still are so, so far behind in so many ways. We are so good in the church about saying “We are not a business.” But then we go and act like a business with a board that runs like a corporation and congregational leaders that act like CEO’s. We draw up budgets and we crunch the numbers. We put resources into staff positions and maintenance and cut outreach and education and mission. We get smaller and smaller and so we cut all “non-essential” budget items like continuing education and health insurance, cut salaries and positions down to half-time or less, and finally, we are left with nothing to cut and we close. We are a failed corporation. That’s where our problem is: we say we are not a business, but then we act like big business. Rather, we have a lot to learn from small businesses (and yes, not every business is the same, not every small business is the same). Many new start-up small businesses are based on a passion, a dream, that is driving the business: a vision. Many people start up their own business because they love doing what they are doing and dream about doing it, whether it be a restaurant or a bakery or a used book store, a consulting firm or jewelry shop, just to name a few of the small businesses in our town on one street. But here’s the thing: they are local, and they begin with a dream, a vision. They also have to compete with the big box stores or big firms or big chain restaurants, but don’t worry too much about the competition from them because they are local, they offer personal service, they don’t mind you taking time and they will take time for you when it comes to making decisions on purchases or transactions of services. Of course, the church is not a place where we exchange money for services, but the personal service, the attention to detail, and the time given for decision making are all good aspects we can take into the church, on top of the notion of dreams and passion: a vision that moves people forward. Now here is where branding comes into play. I know of a church whose slogan on its sign is “Something For Everyone.” Except it doesn’t really offer something for everyone and if it did offer something for everyone, I would expect it to be much, much larger than it is. Even my current church is using a slogan that is a bit too broad and too open for interpretation. We do this all the time in smaller churches that want to grow: we don’t want to limit our possible outreach, we don’t want to say no to anyone who comes in, so we try to say “yes” to everyone. The truth is we can’t be all things to all people. So that’s where my talk with the advertising agent comes in. She (an active member of another church) told me something I’ve known for a while: you have to brand yourself. That’s the marketing term: branding. What is it that makes you stand out, what makes you unique? Translation for the church: What is your vision? How do you make your vision known? I have been leading my church in a vision process for the past six months, and I led my previous congregation in a similar process. First, we looked back at our past. We had a day where we shared memories by the decades (I started with the 1950’s but people had memories further back than that). We wrote them down on big sheets of paper, decade by decade. What was it that brought you to church way back when? What was fun? What was exciting? What made you want to keep coming back? We wrote it all down and then put it up the next Sunday for everyone to look at, and fill in a memory if they weren’t there or had remembered something later. We talked about our memories. More specifically, we talked about the feelings we had, and we talked about the movement of the Spirit in the life of the church. The conversation turned from “what we used to do” or “how we used to do it” to “what was it that helped us feel alive, engaged with God, in relationship with Jesus, moved by the Spirit,” etc. The next month we talked about what was important to us, as individuals and as a church (this part is core to the vision process—what is it that we value?) The following month, we talked about what we were ready to let go of—past assumptions, long announcements, etc. This is a time for venting the negative energy, the things that we do but we don’t know why we do them. The next gathering we focused on the three core parts of the vision process: Values, Words, Actions. We’d already done the Values part, now we focused on what it was that we said about ourselves and what it was that we did. Do our words, actions and values line up with who we say we are, or is there is a disconnect? We’re nearing the end of this part of the process: we are going to be forming a vision statement. A vision statement is not the be-all and end-all of the process, but it helps point the way. This vision statement will say something about who we are, who we want to be, and how we are being. This statement will go with our church logo, will go on our website, will be the branding that we use. For churches, I think (or would hope) that it is less about competition and more about saying who we are to those that don’t know us, and at the same time, reminding us of who we are and where we are going. Habakkuk 2:2 says “Write the vision… make it plain so that a runner may read it.” In other words, keep it short, make it easy to know, make it something that everyone can memorize and recite to those who want to know about who you are. So as I said, my current church is still in the process. We haven’t gotten there yet. But I’m very hopeful about the process and where we are going, and through this process, we are recognizing our need to be more specific in our welcome and inclusion of others. We are learning that we need to share our dreams, our passion, through the process of vision, remembering the spirit that once filled us before, and we are finding that spirit again. We are also learning more about who we are as individuals, and how we welcome one another is integral to our church. The spirit is still there, and in the words of Habakkuk, there is still a vision for the appointed time. When I was in seminary, I remember attending denominational events for seminarians and new pastors in which we talked about the “unchurched.” Questions were asked in workshops and seminars about how we were going to reach the unchurched. Friends were being called to positions such as Ministers of Outreach whose primarily function was to seek the unchurched and somehow get them to come to their church. Though the language may have changed over the past fifteen years, from referring to those who don’t go to church as the “unchurched” to the “nones,” the terms we use are all based on old, and often false, assumptions. We assume that the “unchurched” have never been to church and just don’t know what it is we have to offer. We assume that they don’t know anything about the Bible, God, Jesus, or church. We assume that the “nones” have no spiritual or religious background and were not brought up with any traditions and that they are out there, lost, and in need of what we have to offer. Notice that there are an awful lot of assumptions made in this paragraph about the church, and the last, big assumption, is that we have what others are looking for. We want others to conform to us. We know what’s best, because we’ve been doing it this way since before we can remember. This is how you are Christian, this is how you do church. If you are on the outside, you are not churched. It’s time to become unchurched. It’s time to remove the divisions, that somehow those on the inside have it right. Becoming unchurched doesn’t mean that those outside have it right, either, but rather we are removing the distinction of inside vs. outside, churched vs. unchurched, spiritual vs. religious. It is time to take off the lens of church that we see everything through. It’s time for us to do our part to break away from the old assumptions held deep within the walls of the concept of church. It’s also time for us to stop assuming that people who aren’t in church or affiliated with a local institution of faith are not spiritual, are not religious, and are lacking something in their life. Maybe it’s less about what we have to offer and more about what we can learn from listening to each other. Let us become unchurched. Let us listen to other’s stories and share our stories. Let us focus not on bringing others in but on breaking down divisions. It’s not about closing doors and emptying buildings as much as it is removing the barriers that have been put in place. For there is no Jew or Greek, nor slave nor free, neither male nor female; neither is there church or unchurched, spiritual or religious, haves or nones; for all are one in Christ Jesus our Lord. Some might think I’ve taken a few steps down in my career: I started off as an associate minister of a well-to-do congregation in an urban area. The type of church that pastors like to retire from. The type of church that is often called a flagship church. But I felt called to something else, so I moved to a smaller urban church in another town, where I had no administrator, and after my first two years, I became a solo pastor. Then I took time off and became a volunteer chaplain and stay-at-home mom while my husband pursued a full-time call into ministry. And now I am the part-time pastor of a very small church, which was referred to as “Oh, isn’t that church a dying church?” during a clergy conversation recently. It’s not a dying church. I don’t believe it is. And while I have enjoyed each calling differently, I am loving this call because this is exactly where I am supposed to be, now. This is how I have felt at every position I have been called to so far, and I hope it will continue. Right now is where I am called to be. One of the great skills that all pastors need is the skill of drawing out people’s gifts. In my view, many of those gifts lie in great ideas—creative energy—that often lies dormant in the minds and hearts of people. They are afraid to share their great idea because it will be turned down. Because no one will hear them. Because someone will say there isn’t enough money or enough people to do it, or it’s not the right time. And the idea, the dream, the energy—will fizzle out, fade and even die at times. There are different ways to draw out the gifts of others. Some will go to a meeting and say, “Anyone have any bright ideas?” It’s not exactly the best way to start, especially if you’ve had a history of people turning down ideas for the reasons mentioned above. People may be afraid to share their ideas. There’s also the risk that people who don’t have such great ideas, but instead say, “Church A is doing this down the street, we need to do what they are doing,” will come forth. Just taking other people’s ideas and programs doesn’t really work and is trying to be a band-aid to the real problem, which is not using the gifts of the people you have. What I have found in my ministry is that when I share my ideas, my energy and enthusiasm, others catch on to the spirit, but are fueled for their own ideas. In a church where we had few children and no ideas for a Children’s ministry other than “we want them to feel welcome in the worship service,” we are now coming up with creative ideas for children’s space within the worship service as well as for those who would prefer to go to their own space downstairs (cleaning out the nursery that has been used as a storage facility for the past few years). We are moving from a Wednesday night Bible study series into a Pub theology forum. And while I may have begun with these ideas, others in my congregation are now sharing their ideas for Children’s ministry, outreach to seniors, and other ways to be involved in the community. In order to give space for people to use their gifts, to share their creative energy through their ideas and dreams, a leader also has to be willing to share their creative energy, their ideas and dreams. And it all takes a little work. There are still the same trip-ups that happen, where someone shares the idea but doesn’t want to do the work. Some ideas sound really great but are awful once you start implementing them, or just don’t fit your community. Time and again I have found myself starting off with a great idea, then find myself doing the work, then realizing that if I stopped no one would really notice (except with a “Why aren’t we doing that anymore?” question at the next board meeting). But don’t stop. Try and try again. I have found in all of my ministry locations that when I come to the table with ideas, not only do others get on board, but they get inspired. They remember the idea they once had a few years ago and find the courage to bring it up again. They see your energy and enthusiasm and are encouraged to tap into their God-given gifts and creativity. There is life in the small churches, and perhaps there is still time to re-create the vision (Habakkuk 2:2), to be inspired again, to see the possibilities for new life in ideas that had been dormant for so long. So don’t give up. Be creative. Let your ideas flow. Go for it. When Jennifer Harris Dault put out a call for Baptist women’s call stories, I was excited for the opportunity to share the story of God’s call on my life (from my perspective, of course). I quickly wrote out my story, edited it a bit, and sent it to her. 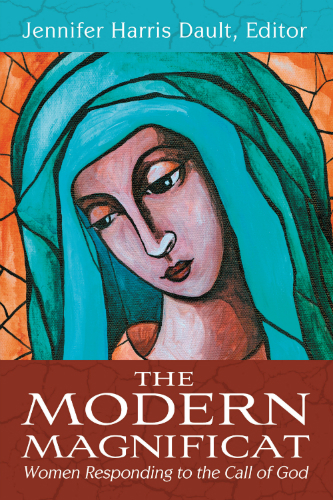 Many months later, The Modern Magnificat: Women Responding to the Call of God was released. I purchased the book for my mother for Christmas and waited for my copy to arrive in the mail, excited to see my name as a chapter in this collection. However, when I sat down to read this canon of twenty-three stories of Baptist women called into ministry, I forgot about the details of my own story. As I read, chapter by chapter, story by story, woman by woman, I heard my story in the voices of these women. Women who had faithfully responded to that inkling, that nudge, that Divine Word, that altar call, that prayer to follow Jesus by going into ministry, and all of whom at one point or another faced incredible challenges to following that call. More often than not, it was a male voice telling them, “No.” Not the voice of God, not the Bible, but the voice of pastors, teachers, even husbands and fathers, saying “No” simply because she was a woman. Even though my call story is included in this collection, it isn’t complete by itself. As I read their stories, I recalled other moments when men said “No” simply because they were a man and I was a woman. I also now remember times when other women told me I needed to learn my place. I remember friends and family who believed they were being loving by telling me I had no place in ministry whose words were crushing. But I also remember so much more now. As I read these testimonies, I feel pride in remembering all the encouraging voices on the way—pastors, parents and grandparents, teachers, friends—all who saw the gifts of God in me and pulled me along the way. I recall my own personal experiences with God when I heard, or felt, very clearly that God was indeed calling me to be a minister. While this book is written by Baptist women and their experience, I believe there are many women in other traditions who have experienced similar discrimination, and I hope, similar places of encouragement along the way in their faith journey. Baptists, of course, bear our own unique name and burdens, stereotypes and generalizations, and there are many former Baptist women serving in other traditions now, but I believe this book can be a work of encouragement for all women pursuing the call to ministry. As I read this book with my story in it, as a fifth-generation ordained American Baptist minister (and the first woman, with my mother following after me), I wonder about my grandmother and the other minister’s wives in my family and their daughters. I wonder if they ever wondered if God was calling them into pastoral ministry but set it aside, believing that they were fulfilling that calling by being a pastor’s wife. I wonder how many women have been denied even the possibility of dreaming about being a minister. In more conservative and evangelical circles there is a continuing debate about Biblical equality and women in pastoral leadership roles. In the progressive/liberal churches, we often assume that debate has been settled. Yet I know my colleagues in other traditions, and I in my American Baptist tradition know our name has been rejected from church search committees because we are women. We know that churches still refuse to consider a woman, even if the batch of profiles they receive from their regional office are full of women’s names, even when we know that over 60% of seminary students today are women and that number continues to grow. The Modern Magnificat brings a challenge to the church universal: women will follow the call by God, despite the attempts of denominational bodies or local churches, despite the naysayers in the pulpit and on the parish committee. Will the church be the one to change and accept that God calls all people, or will the church continue to hold on to false interpretations of Scripture used to justify power-holding and power-over others? For there is no other purpose of denying women into ministry: besides the numerous Biblical examples from Deborah to Phoebe, besides the traditions of women partnering with men in ministry throughout church history, the need to hold power and authority over others is what perpetuates the denial of women into ministry—or indeed, any group considered a minority in power. While there are other great books out there on women in ministry, written from academic theological perspectives, read this book of women whose own stories, who own narratives share their experiences of denial and perseverance, of challenge and most importantly, hope. (You can read the introduction of Jennifer Harris Dault’s book here). There have been a number of discussions, tweets, chats, blogs and other articles on why young adults are leaving the church. The most recent was Christian Piatt’s blog post here. He lists seven reasons to think about, but there’s another that has been nagging me for a while: authenticity. I grew up in a small startup church in Alaska, a church that I still have my name on as a member. It’s a church that from the beginning did not imagine itself as a large, growing church, drawing in several families and youth. It’s a church that set out to meet needs, starting as four families meeting together. When my family joined a couple of years after it started, the church created its first Sunday School class for children. Over the years, if kids came, there was a class, if there were no kids, there was not a class. People didn’t panic when families moved or stopped coming. The church simply molded into whoever we were at the time. When I was in high school, we had a youth group for about a year, but then we didn’t for a while. There were plenty of other churches offering youth activities and some families drifted there, and sometimes I just went along with my friends to other churches. But the church recognized a need: there were few summer programs for kids in our area except for camps. There was a camp our congregation supported, and the church decided that any kid who wanted to go to camp would go for free. One year we sent 13 kids to camp—from a church of about 25 members! But part of the reason we didn’t need a youth group, in my view, was that from an early age, we were part of the church. We were encouraged to remain in the church service (the church actually stopped offering childcare during worship after my first few years there). We were invited to participate in ways we were comfortable—lighting candles or reading Scripture or even preaching on occasion as we got older. When I was baptized at the age of thirteen, a week later I was welcomed into the church and asked to serve on the Deacon board, the only board in the church. There was no such thing as “Junior Deacon” in our church. We were all part of the church together. What I have learned from my small startup church over the years is to be authentic. Too many churches try to be all things to all people. They start up programs and ministries hoping to attract the kind of people they want, such as young adults, rather than just being themselves and embracing the community that they are. As a young adult, I went off to college and attended a wonderful church where I felt the same kind of authenticity from the pastor and leaders. They were glad some college students were attending, but recognized that we weren’t going to come every Sunday and that they weren’t going to be a big draw as the campus population was more evangelical and conservative. But I do remember the finals week care packages they sent to each of us who came as we studied for exams. I remember being given the opportunity to preach, both there and in my home church, recognizing my gifts for ministry. I remember other friends preaching, leading music and book studies, working with children, or just attending worship and Easter brunch, because they were accepted as they were, and the church did not try to be anything but who they were. My home church never became a big church, but there were young adults, older adults, and ages in between that have come over the years and call it their church home because it was an authentic church, and they were welcomed and affirmed as who they were, their authentic selves. I have seen too many churches try new programs—if we move Bible study to a different time, they will come. If we have a praise band play every 4th Sunday, they will come. It’s like a Field of Dreams for mainline churches—and I distinctly remember the moderator of the first church I served saying, “If we just open the doors, they will come.” But it doesn’t work that way. This is reality, not fantasy. And the best thing we can do in the church is to be authentic. Stop pretending to be something you are not. Stop trying to cling to a dream of the past when every pew was filled and you had multiple Bible studies occurring at the same time. And please, stop targeting young people in the hopes that young people mean young families which means more children who can grow up and carry on the legacy you remember from your own childhood. We can all see right through that. Instead, remember that church does not start at the doors, but that we as the church must go outside. We are the church in the pew or in the coffee shop, in Bible study or in the office, in the beauty salon and in the seat on the plane. We are the church wherever we are. If we start remembering that and start being ourselves, we can grow the body of Christ. And we can definitely reach out to young adults, and to all sorts of people, if we are authentic in the world and inside the walls. As a boy in elementary school, I would sometimes tussle with other boys. Generally we would not hurt each other, but sometimes it would result in a visit to the nurse’s office. During one such incident, my head hit against a cement wall. It hurt some, but I felt I was fine; however, the teacher did not believe me, but who would argue with a teacher that was allowing you to go to the nurse’s office and miss some of class(as we were just coming in from recess)? The nurse examined me and asked questions. I was determined to be fine, diagnosis “boy.” The last question posed during the nurse’s examination was, “Are you seeing double?” My response worried her, as I stated, “No more than usual.” I was seeing double often while reading and I just trained and strained myself to read both images simultaneously. The nurse, concerned and curious, did some tests and discovered what I thought was normal: I saw double. What I also remember about her is she did not make me feel stupid for thinking that seeing double was normal, and she did not make me nervous about this situation. I went to the optometrist, and I must say that was an exciting experience. It was explained to me that everyone has a focal point in which when you get closer to the eyes, one will see double, but generally it is centimeters from the nose, not an arm’s length. This doctor prescribed intense exercises. I had various contraptions and ditto papers and spent one to two hours a day strengthening my eyes, so my focal point would be in a normal range. I was committed because reading, which I greatly enjoy, was much easier with only one image. I share this anecdote to emphasize the importance of knowing vision in the church. We in the church world use this term often, and it is not easily defined as it is different for each ministry and congregation, while also being part of God’s Vision. I assume that there is an importance of vision, for it is what drives a congregation and/or ministry in the direction of God. We know that it is not simple to find a vision, but it is just as important to realize when your ministry has lost or been burdened with poor vision. Just as I believed seeing double was normal, many churches and ministries keep going, not realizing they would have a difficult time reading the bottom line on the metaphorical eye chart. For many, the reality of finances brings a congregation to the metaphorical optometrist. However, I want to share the story of a local food bank I was involved with this past year that closed. The bank had been serving the community for 30 years, but the original vision of helping people between applying for food stamps and receiving them is now outdated. Other food banks had taken form over the past decade serving the community more efficiently and in greater numbers. The food bank needed a new vision of how to utilize their resources. For various reasons the need of a new vision was not taken up by the board and the volunteers, until the vote that closed the bank. Even a year before, a vote keeping it open (by one vote) didn’t get enough people realizing the need of a vision. However, this ministry did not lack resources. We had enough food, especially canned corn (not sure why so much corn), and we could have continued for 15 years without raising anymore funds, at the level of help we were providing, give or take a couple of years. My point is that vision has nothing to do with finances. We need to not wait until it is reflected by red ink. Sorry for that terribly cliche title. But bear with me. I’m in that weird post-election pre-Advent what-do-I-write-about phase. You know, the calm before the storm for pastors, because the next month will be ca-razy! As a pastor, I’m constantly challenged by outside the church of what I need to preach about, because outside seems to be where so many are. Outside the church is the real world of political struggle, conflict over debt, taxes and support to the poor; outside is where the difficult questions about ethnicity and religion are happening over in Gaza and Israel; outside is where the “nones” are and we need to reach them and we need to abandon this old way of doing church so we can get out there and be with the “real” people. Outside is where the homeless and poor are. Outside, outside, outside. The church is stuck inside and is cold and boring and dying. *Yet this week I heard the story of a 70-something woman who is finding new life after almost dying. After being unable to walk she is starting to learn a new musical instrument. I know another who is reclaiming a passion for art that they had in their teens but lost in their adult years. Another is struggling with a child who has AIDS, another has a grandson they have never seen. Another’s brother is in rehab and another’s child is pregnant and not seventeen. I know grandparents raising children and grandparents going back to school for another degree. I know of elderly volunteers at elementary schools and young environmental activists reorganizing the church’s recycling. For all the criticisms of the church that we might have, for all the “new” and emergent churches that are making a difference, our old churches can still make a difference, too, and may be doing it under our noses. There are days I throw my hands up in the air in ministry and think, “These people will never change, they’ll never grow out of their habits and they never want to do something new.” And then I peer under the surface and find they are reaching out in new ways, but also living into hope in new ways. They are miracles in and of themselves. And they love their church. And sometimes they just don’t know what to do, and they know the way they have always done things isn’t the best way, but they are trying their darndest. So sometimes I think those of us, and I am including myself, who get all critical and huffy about the church being stuck in the past, need to take a moment to pause before the craziness of the world and be thankful for the problems we have, for the people we are with, because these are the real people in our lives. We may see the conflict in Israel and Gaza and wonder how in the world we can make a difference. I have friends involved in petitions and protests and peace conferences and interfaith dialogues—they are doing good work. But the grandparents who keep an eye on the neighborhood kids in our small city streets—they are doing the work of peacemaking as well. For those of us in our small churches, let us be thankful for what we have, let us work with what we have, and let us see those miracles, those stories of living hope, and do what we can to tackle the small problems in our lives. Who knows? Maybe we can reach out to some of those “nones” by our everyday ministry and stories of hope. This Sunday I’ll be dusting off the Advent wreath and getting ready to participate in the traditions that this church has held for a long time, some of which the meaning has been lost. But there is hope here, hope in the living stories of the people who still gather here, and the meaning of these traditions becomes apparent when I remember that: this is a community of faith, and the ritual of tradition at times stirs in them hope that even when they are gone, things will continue on, and that they won’t be forgotten. We have plenty of poor people, people on Social Security and food stamps within our congregations. We have plenty of reasons to speak out for social change and to act for greater change in the world around us. And yes, we do need to step out of our comfort zones and we need to go out into the world. But that doesn’t mean we are dead on the inside. No, for those who have grown up in the church, put their faith in their community, there is life here, too. And we need to honor and recognize and celebrate that life. So as I prepare for Advent as a pastor, to preach a familiar message once again, I am reminded that even in the familiar, I can find challenges and struggles, despair and conflict—and hope, hope, hope. Hope that is alive in the lives of people going through chemo, recovering after a fall, searching for a new job, dreaming of college. Hope of those with a family member in rehab, hope for those struggling with health care. If there is one thing that Advent does, year after year, candle after candle, it is remind us that Hope is always, always possible, in the darkest of times. And maybe there is no greater place to find hope lived out than in the faithful in a small, aging church, as they light the candles year after year. *obviously I have changed these stories, the details and ages because these are real people I know, but you may know these stories in your lives. We all know that change is often hard. We all know that change is often necessary. We all know that change is often feared. We don’t fear change, we fear loss. We don’t want to lose what we have, so we try to hold on desperately. To hold on desperately, we must have power, so we become concerned with gaining/keeping power. Most conflicts in the church become power struggles. As the church continues to change, even transform, into the 21st century, we are more and more concerned with gaining and holding on to power so we won’t lose what we have. So we can keep the traditions we like that we associate with memories of what “good church is.” So we can get back to the church we remember, when it was thriving (at least, how we remember it, how it appeared), when people went to church. Problem is, we can’t make people go to church. We can’t make people want what we remember. We can’t make people be like us. So we dwindle and dwindle. And the center of the power struggle is… the building. But stop for a moment. When we look at the first and second century Christians, when we read the letters of the New Testament, I don’t remember Paul writing about any conflict over a church building. There were power struggles, yes—but no church building. People met in each other’s homes, at the synagogues, or down by the river. We know that church buildings were not long in coming, and by the fourth and fifth centuries there were church buildings in Eastern Europe and the Middle East. While we know there were rival church groups, and in the divisions of orders within the Catholic Church after the first millennium, for the most part church buildings were not build to be in competition with each other. Then came the Protestant Reformation, and a few hundred years later, the Great Awakenings in the United States. And church buildings sprung up like daisies. Church groups built new buildings across the green, or even across the street, from other church buildings. Church buildings were, of course, the community center for many. It’s where you went if you were poor or in need. It’s where you went to pray and seek counsel. Church buildings had a significance for all people within the greater community. Now a new transformation is beginning—or is it just getting back to our roots? We don’t need the church building the way we once did. YMCA’s, community centers, malls and parks have taken away the social needs. A greater understanding of faith life has led to many to seek individual ways of finding faith. And when the church has insisted you need community, you need a church building—you need the old ways—society has found a way to resist even greater. The church needs to let go of the building. It was not part of our earliest memories, nor did Jesus call us to go and build church buildings—he called us to go and make disciples. The church building is the center of power for many people. They have put their hopes and dreams and their finances into the building. Many were involved in the design and décor of certain rooms in the building and also determine the function and use of those rooms. The building committee or trustees determine what needs to be done about the building and what finances are used or what is needed to maintain the function of the building. The building itself is called the church. Many churches continue to use a picture of the building as their logo for promotion. One of the biggest problems for the church today is the continued mistake of thinking the church is the building. And even churches who are aware of this problem continue to do so by masking this mistake under colorful language of “being good stewards of the blessings we have.” There is nothing wrong with that statement in itself. If the “blessings,” however, is understood by most to be the building and/or finances, then you have a problem. The words have changed, but the attitude and belief is still there. I think the building symbolizes power, control and stability for many in the church. It means we are something in the community. We are important and we would be missing if we were gone. Those last statements are important; however, what the church building often also represents is that we are in control. And that is the crux of the problem: are we really in control? Should we be in control? Letting go of the building is a symbolic letting go of centralized power. 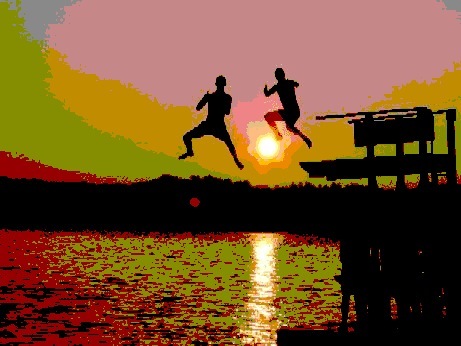 Rather, when we decentralize power, we allow for power-sharing among members, but more importantly, there is freedom for the work of the Spirit and an acceptance that control does not happen in an office, a sanctuary, or a Sunday School room—control is something that is shared, empowered by the Holy Spirit—and even at times, let go of. I’m not suggesting everyone go out and sell their buildings. However, I am suggesting we let go of the concept of building ownership, letting go of the phrase “being good stewards of the building” with its connotations of power and ownership as the focus of our work and even our identity. I think churches should get out of the renting business and instead see themselves as building partnerships. We need partnerships with other congregations, ballet studios, artists, non-profits, childcare centers and others that might use our building. When we are simply landlords, it is hard (if not impossible) to do ministry because we are worried about what might happen to our building, what kind of damage might happen or what needs to be cleaned up and who will pay for it. When we are partners, we recognize that God is the one in control. We recognize opportunities for ministry are not just ours but are everyone’s and that we all can be involved. We recognize that we are all on the same side—trying to promote God’s goodness and beauty and love and justice in a world that needs it. We recognize true stewardship of all of our gifts and are interested in working together to create a community center, a place of worship, a place of peace and contemplation, or whatever we envision lead by the Holy Spirit, together. In our too-human rush to judgement, we can miss the central point of the teachings of Jesus. In the parable of the sower, Jesus emphasizes the receptivity of the soil - of our hearts - to hearing the Good News of love for all. He does not suggest the sower should withhold seed. Rather, he describes what we see all around us. Not all seeds or love we share take root. Nonetheless, Jesus calls us to plant seeds of love extravagantly. We may fear there is not enough love, withholding seeds from those we deem unworthy or bad risks, but this is not what Jesus teaches. It is not our role to pre-judge others and withhold our love-seeds from the rocks. To do so, is to assume that we know where the Realm of God will take root and blossom. 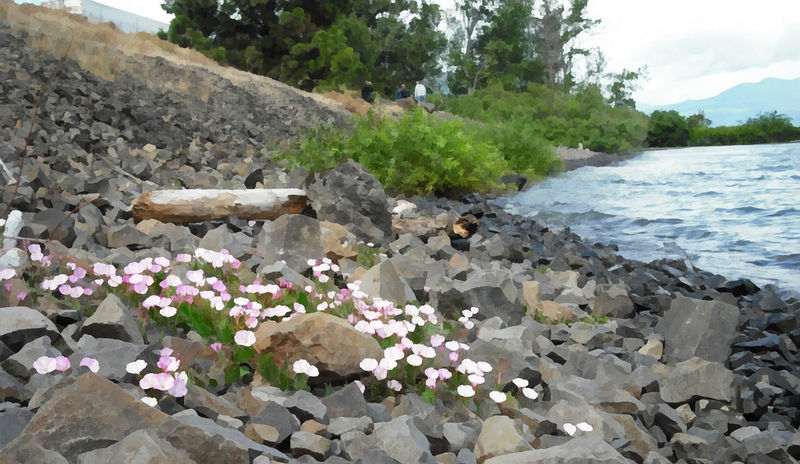 Sometimes the seed planted among the rocks, finds good soil where we least expect. I am in Mexico as I write this. I can look outside and see the sun at work drying the hard brown earth. Children playing soccer make dust devils swirl as they run. San Luis Potosí lies nestled in the arid mountains of central México. It’s difficult to imagine that anything can grow here, since so much of the year passes without rain. Yet everywhere you look you can see small patches of green fingers poking out from the ground—a little grass here and there, cacti, mesquite trees. 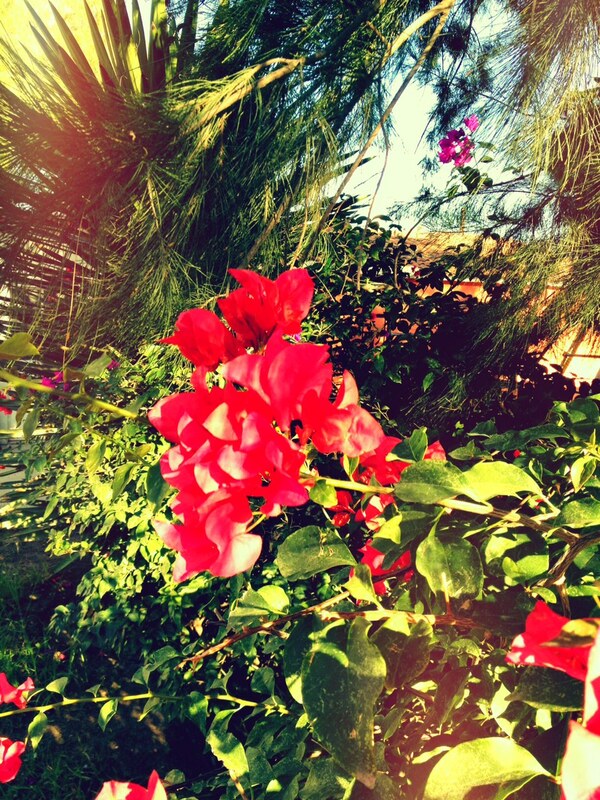 The bougainvilleas paint purple and red pictures against a brown backdrop. Walking out in the countryside, however, emphasizes the inhospitable nature of the environment. 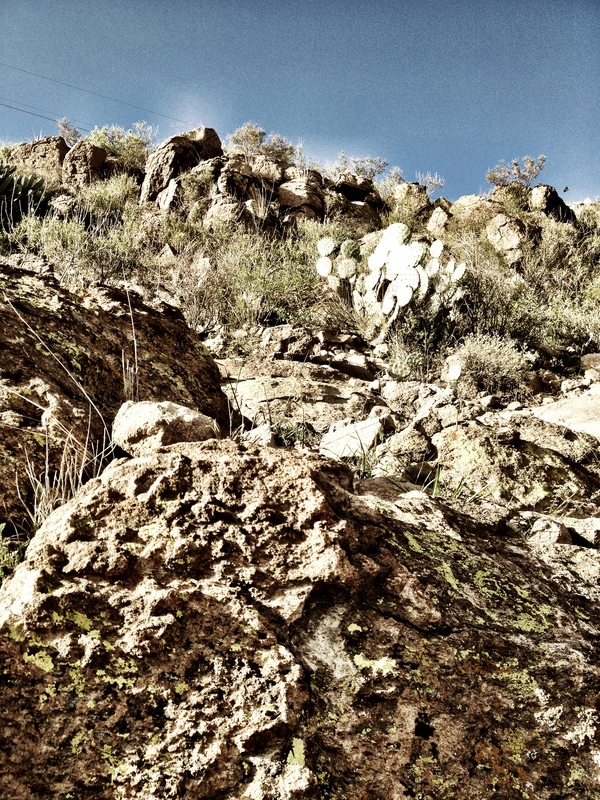 Rocks, sand, mountains—at times an almost lunar landscape. Beauty, but a dread kind of beauty—angular, lots of sharp barbs and keen edges. As I walk, I puzzle over who it was that wandered into this part of the world first and thought it might make a good home. Water is a mission rather than a natural resource. Food requires imagination and ingenuity borne on the bent back of sun-scorched labor. And yet, in the midst of this uncooperative terrain life blooms. Stubborn plants prosper. Animals breed. People live and love and create; they produce children who laugh and old people who still sing. “How can this be?” I wonder. In conditions less than hospitable to life … life flourishes. Sinuous. Unyielding. Spiny. It makes no sense that I can see. Still there is life. People have speculated recently about the viability of Christianity. In particular, the church and its waning popularity has stood at the center of the discussion. The numbers seem clear: the church, with few exceptions, has fallen on hard times. The soil that only a few generations ago was fertile and black has hardened—just a few unflagging tendrils peeking through cracks, a flash of color here and there from plants that will not surrender, a tree or a cactus that has made peace with its grim environment. But there is life … and if you look closely, more life than first meets the eye. There are churches thriving under impossible circumstances: announcing the reign of God, pursuing justice, tending the sick, feeding the hungry, holding hands with those left to die in the desert. It occurs to me that the church has experienced lean seasons in the past. But every time things green up for a bit, we think the fat years are permanent, that the land of milk and honey knows no drought or blight. But plenty never lasts. On the other hand, neither does lean. Heroes and saints are almost never made during easy times. The first holy mothers and fathers bloomed in the desert, after all. Heroes and saints aren’t people who do great things for God because they have no shortcomings, no flaws, no challenges from their environment; heroes and saints are people who do great things for God in spite of the fact that the deck’s stacked against them, that the shortcomings and flaws always threaten to undo them, that the environment in which they live doesn’t want them. Heroes and saints are people determined to live their everyday lives as if God matters more than the sum total of their weaknesses and challenges. We may very well be in the desert. Now, I think, is the time for heroes and saints, for a church unwilling to yield. July 11, 2012 in church growth, Community, Congregational Transformation, Leadership, ministry, Missional, what next? I have not been back to my alma mater’s campus in 13 years. The year I graduated college, the school was gifted more land and some buildings from a closed plant and since my graduation the campus size has grown to more than twice its original size. Buildings have changed functions and many have been remodeled and renamed. In talking with a few alumni today, including family members, the first thing everyone said was “My, how it has changed,” and expressed some disappointment. As I walked around campus and recalled some wonderful memories, I realized that most of the greatest memories were not specifically about the place but about the people I was with at the time, friends that I have kept in touch with as well as friends who have slipped away. Professors who have since retired and staff who have moved on—all the relationships I made in the four years I was there. It is not the same, but the experiences and memories will stay with me. I also visited the church I attended during my four years of college. It, too, has changed—there was a building expansion and remodel after I graduated. The sanctuary has added a stage and things have been moved around. It is different. Many of the people I knew have passed on, but there are still familiar names. We all know we have mistaken the church for the building, and we continue to do so in mistaking the church for the institution. People complain about change. Things are different. They aren’t how they used to be. The truth is, they never will be the same, things are always changing, and most of the time, things were never exactly the way we remembered them, anyway. In order for the church to truly be transformed—or be the church, the body of Christ that Paul experienced—we have to get away from building and institutional identity. The church is the ecclesia, the gathering of people. It is not the building. It is not the four-board structure with a moderator. It is not the Pastor’s Bible Study on Sunday morning. It is not the Fellowship Hall or the kitchen or the sanctuary. Church happens in those places, but they are not the church. In order for the church to continue to exist we must move away from this mistaken identity. Otherwise we will always complain about things changing, especially when our roles within the institutions change and the building is changed. Relationships, however, are things that are always changing every time we interact with someone. Friendships change and grow, sometimes they grow apart. Families change and grow. We expect this. We expect people to grow up and grow old. We expect friendships to change and strain and grow. We take this for granted. At times we are surprised when a friendship grows cold or a relationship ceases, but I don’t know anyone who expects their relationships to always stay the same. We know that people change and grow. However, we have put this expectation on our churches to stay the same. Our relationship with God changes and grows. We all experience transformation in relationship with Christ and do not expect to remain the same after we encounter God. We hope to experience lifelong growth with God in our journey of faith. But again, we put this expectation on our churches, to stay the same. It is time to for us to let go of our identity as a place or a particular structure. We are the church, ecclesia, the gathering of people. When we remember this, we know that change will always come, and that it is welcome, it is familiar, and it is what is necessary for us to continue to grow. Otherwise, if we remain committed to keeping our identity as a structure or building, we will continue to be disappointed, continue to sigh when something new happens, and continue to wish we could go back in time to the way things used to be. We can be stuck, or we can grow.